Spring is here. Take advantage of the season with some of our favorite spring hearts recipes – they will keep you humming and put a little hop in your step! This light and fresh strawberry and spring green salad is tossed with a lemony hemp dressing. It celebrates the sweet taste of spring with fresh juicy strawberries. This recipe is vegan and takes just 10 minutes to prepare. The salad is already healthy but adding the hemp seed dressing increases protein, fiber, and other nutrients. You can even replace the strawberries with asparagus for a new spring flavor! You can find the recipe and instructions on Will Frolic For Food. Here is another great spring asparagus recipe. 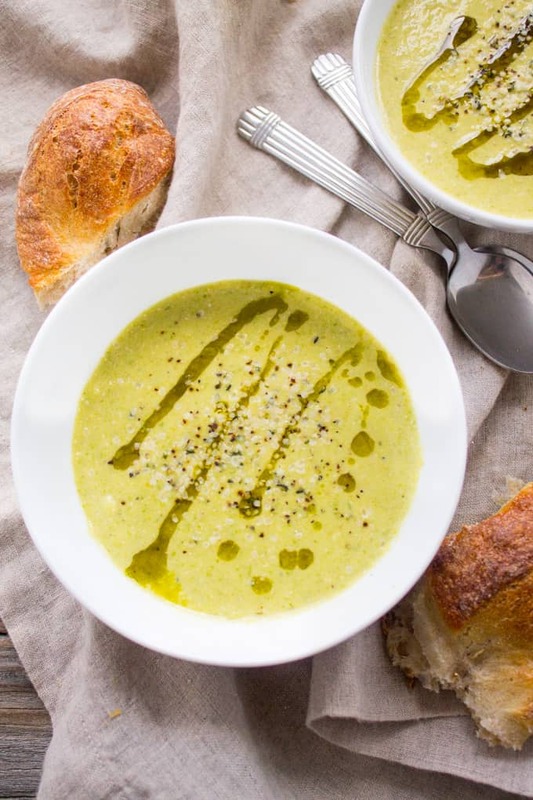 This asparagus, leek and hemp soup has a subtle garlic flavor and a nice creamy finish. It contains no dairy at all and is also vegan. The creaminess comes from hummus. The addition of hemp really amps up the nutrition in this tasty soup. It is super easy and quick to prepare, which makes it a great weeknight soup. Here is the recipe. Creamy delicious avocados are in season in the spring. Get all of the nutritional benefits of three superfoods, hemp, avocado and matcha in one delicious smoothie. This smoothie is a great pick-me-up for a busy morning. It is high in protein, iron, calcium, magnesium and full of healthy amino acids. Here is the recipe. Just like hemp, broccoli is another spring superfood. It has long been dubbed one of the world’s healthiest foods. That is because it is full of fiber, potassium, vitamin E and vitamin B. It is also a good source of Omega-3 fatty acids. This roasted broccoli salad has just the right amount of crunch. The creamy hemp seed dressing is the perfect finish. It adds a nice creaminess to the salad. You can also use hemp oil in the dressing. Hemp oil benefits are the same as hemp hearts and hemp seeds. Roasted cauliflower is super easy to make. It is a delicious side dish that goes well with almost any main dish. The caramelized edges on this cauliflower recipe make this dish absolutely crave-worthy. The hemp hearts add just the right amount of crunch. This recipe is the answer to a quick weekday dinner. It is so easy to prepare. Humming Hemp is so versatile that you add it to so many recipes. It is also 100 percent vegan, certified Paleo, and non-GMO. Humming Hemp is grown right in the heart of the USA and shipped to your local Safeway, Fred Meyer, GNC grocery stores. You can also conveniently purchase Humming Hemp right here from our website. Sign up for our email list and take 15 percent off your next order!